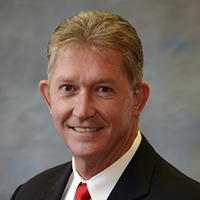 Mr. Perry is a Building Envelope Consultant, Project Manager, and VP of Business Development with experience working with school districts, universities, private businesses, and municipalities across Texas since 1981. Mike specializes in extensive building envelope evaluations for Architects and Building Owners, which include review of subgrade conditions, exterior walls, doors, windows, roofs, and roof details. Mr. Perry is a former Director of Facilities for multiple public school districts and is a firm believer in providing realistic solutions to building envelope issues for Owners, Architects, and Contractors. Mike has worked for Armko Industries since 2001 providing roofing and building envelope evaluations for clients in the Central and Southern Texas regions. Mike is a member of the National Roofing Contractors Association (NRCA), the Roof Consultants Institute (RCI), the Council of Educational Facility Planners International (CEFPI), and the Roof Consultants Institute (RCI), Texas Association of School Business Officials, (TASBO), Certified Texas School Business Administrator (CTSBA), and the American Institute of Architects – Allied Member (AIA).